Don’t you just love when you have a multi-functional piece of furniture that quickly changes purpose to suit your needs? 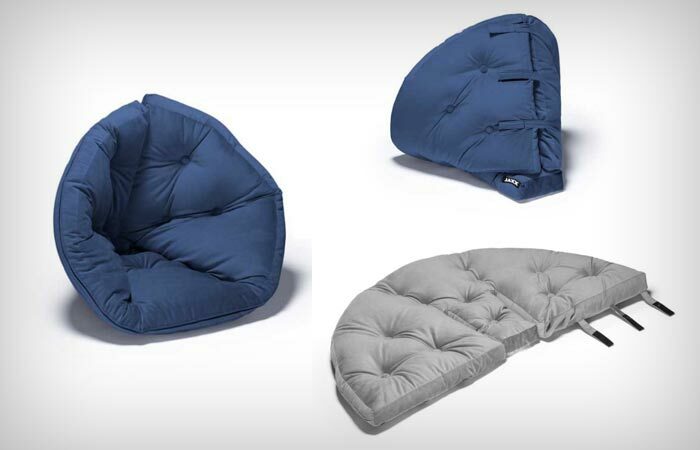 A lounger that also dubs as a cozy chair and turns into a sleeping surface / extra mattress with the help of a few Velcro straps? Cabbagetown Lounger, designed by an innovative American company Jaxx, is a great example of practical, space-saving, multi-purpose furniture. Named after the eclectic district of Cabbagetown in Atlanta, the lounger features an innovative and stylish design. Cabbagetown Lounger is made from soft cotton-blend twill and environmentally friendly foam batting called ECOFOAM which is exclusively developed by Jaxx. Ecofoam is actually made from unused scraps from local furniture makers that Jaxx up-cycles and turns into comfortable stuffing. The lounger has tufted finish and recessed buttons that add to the comfort. 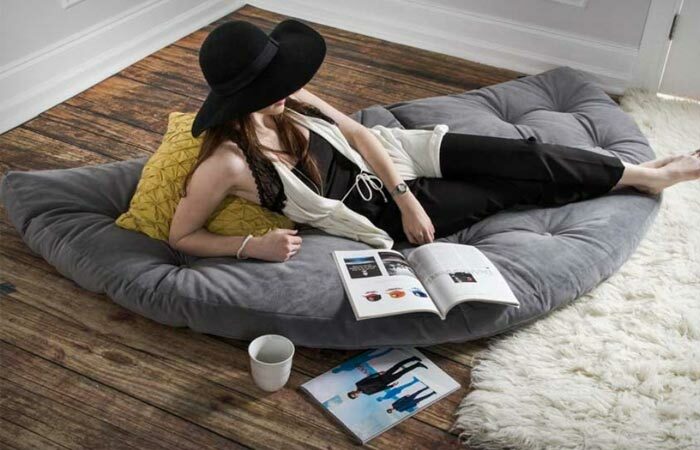 As the manufacturers of Cabbagetown Lounger say – “We think of our products as more than furniture—we provide you with your own little cloud 9”. Because of its fluidity and practicality, Cabbagetown Lounger is perfect for casual living. It comes in two sizes – standard folded: 43″ x 38″ x 33″ (flat: 85″ x 42.5″ x 5″) and petite folded: 36″ x 32″ x 28″ (flat: 67″ x 34″ x 4″), and five velvet twill colours : Pewter, Marine, Java, White and Black.